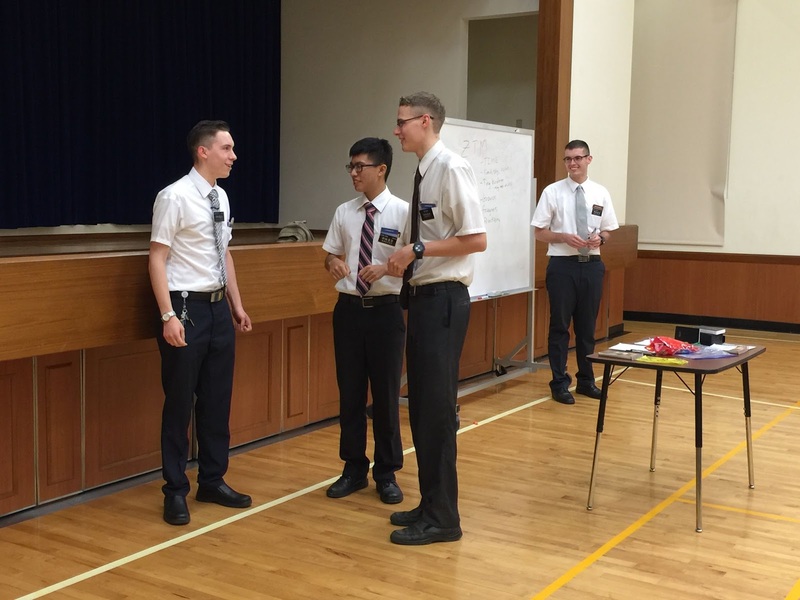 Zone leaders welcoming zone members and making some announcements. 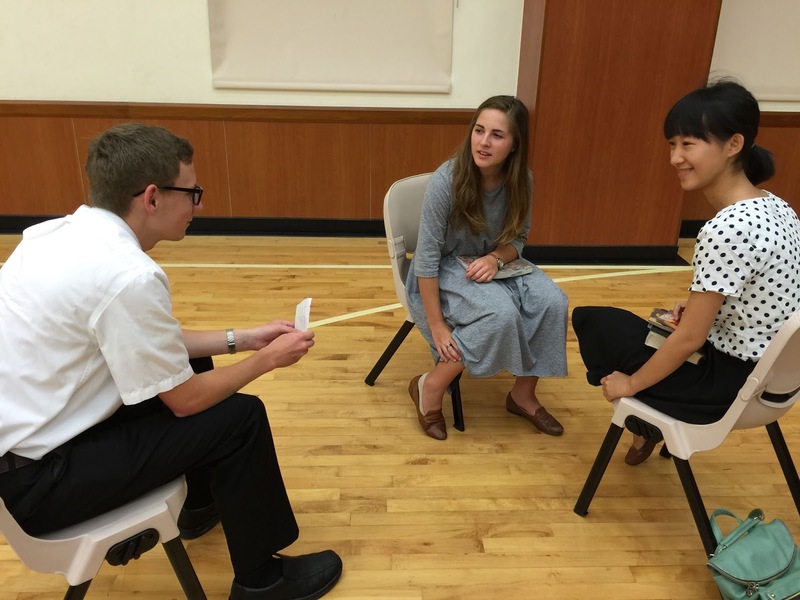 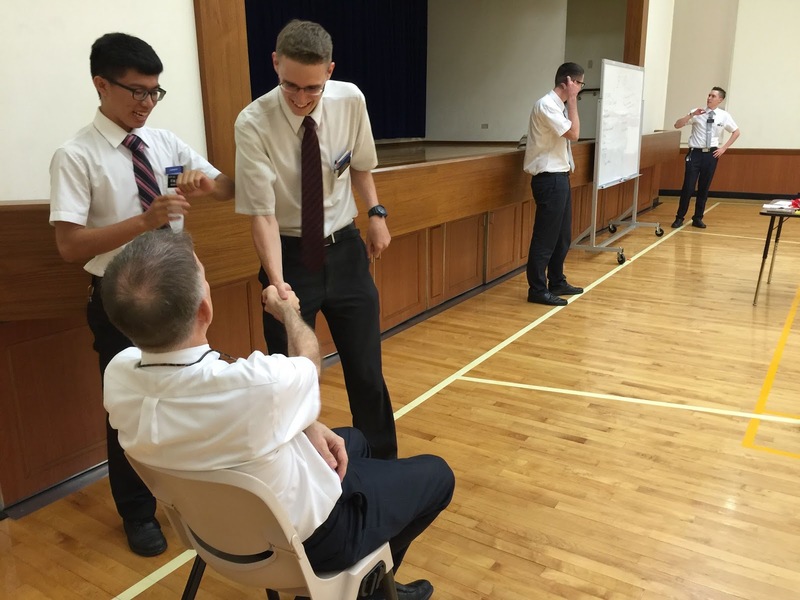 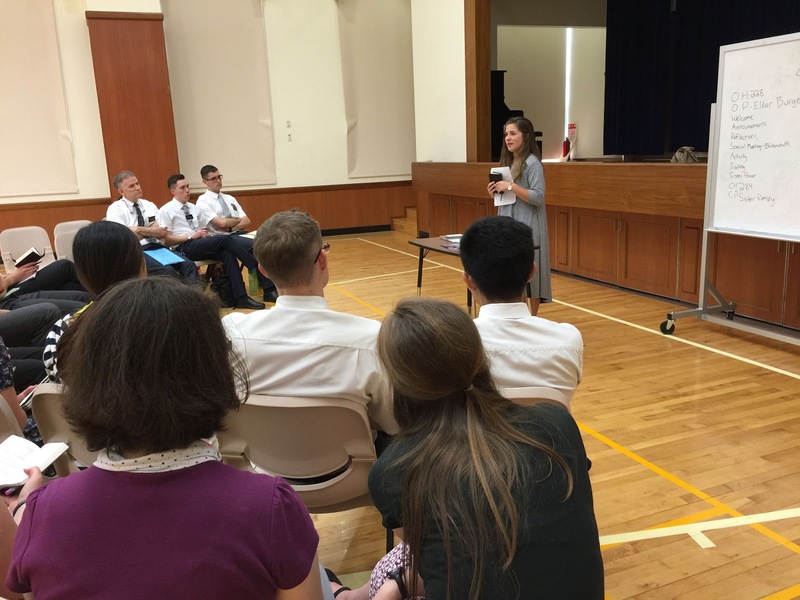 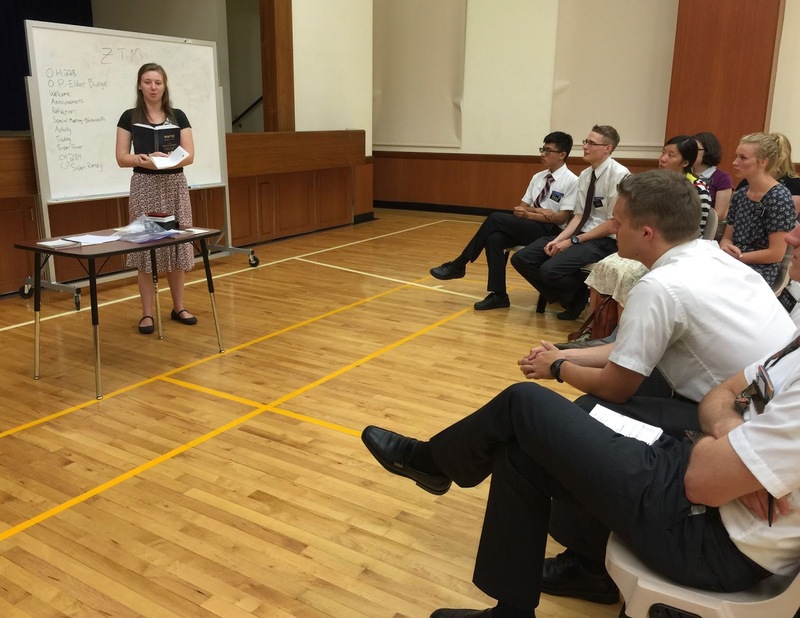 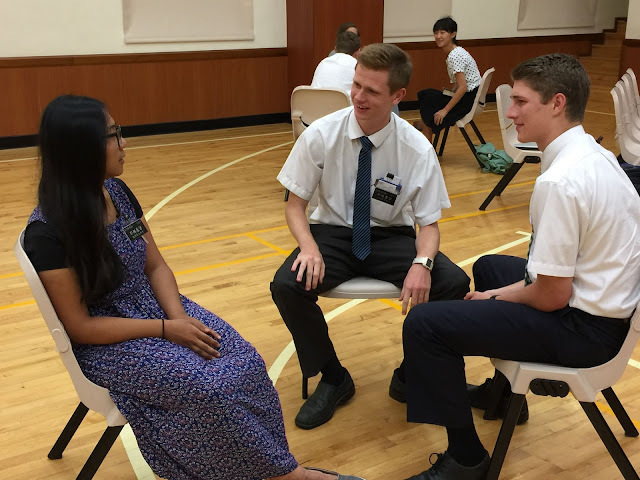 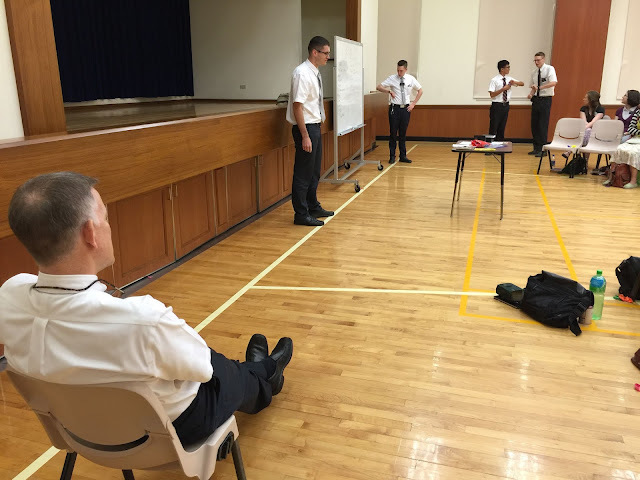 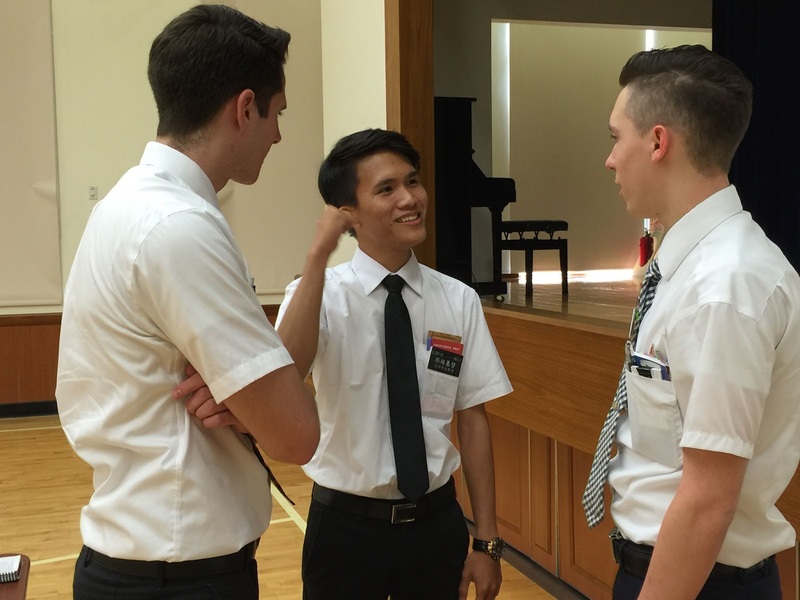 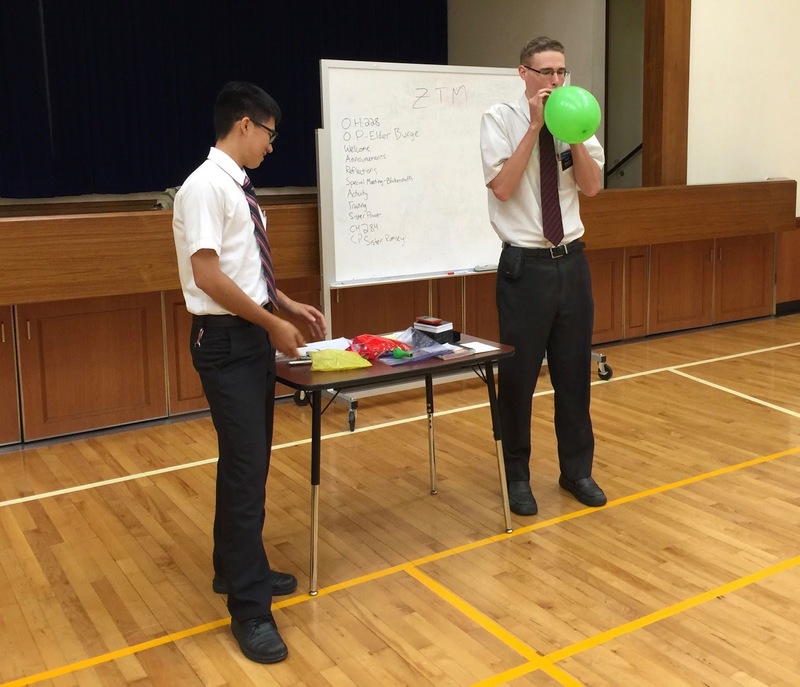 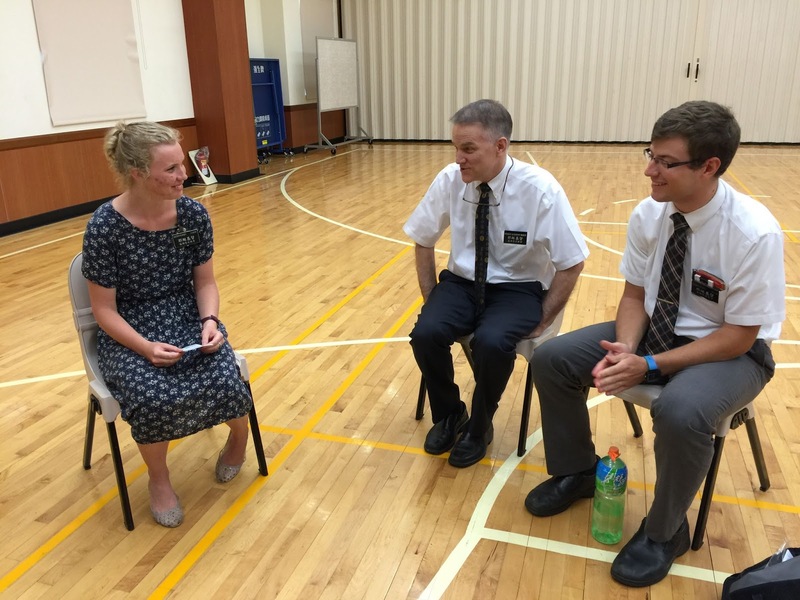 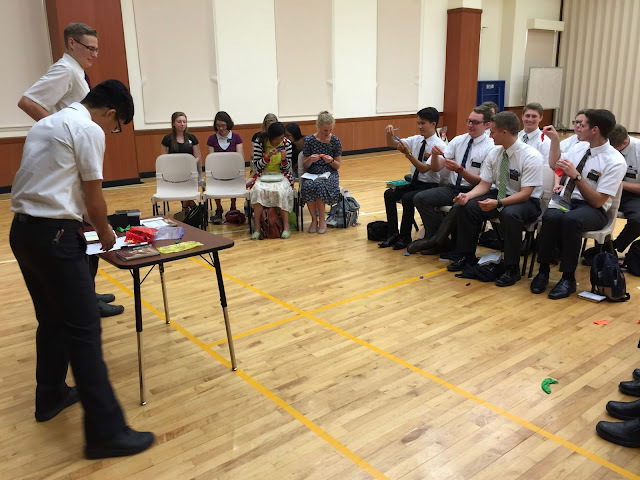 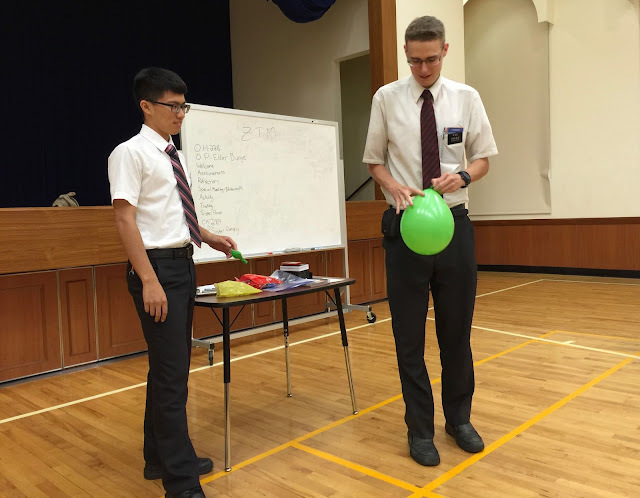 All missionaries in the Taichung Mission will now be teaching male and/or female investigators, as is done in the majority of missions across the world. 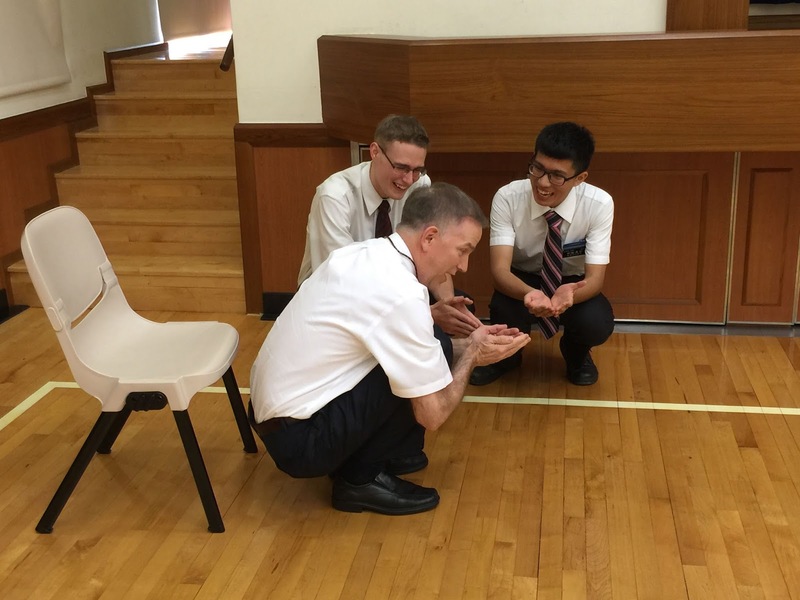 Missionaries will also be able to use their camera's video features. 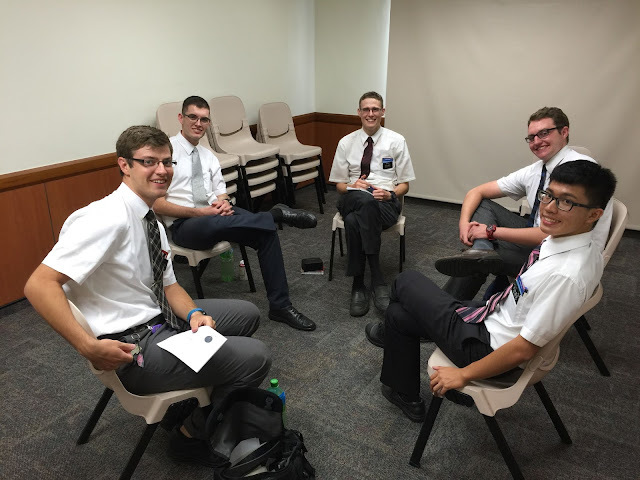 Zone leader instruction on finding new investigators: what holds you back when contacting? 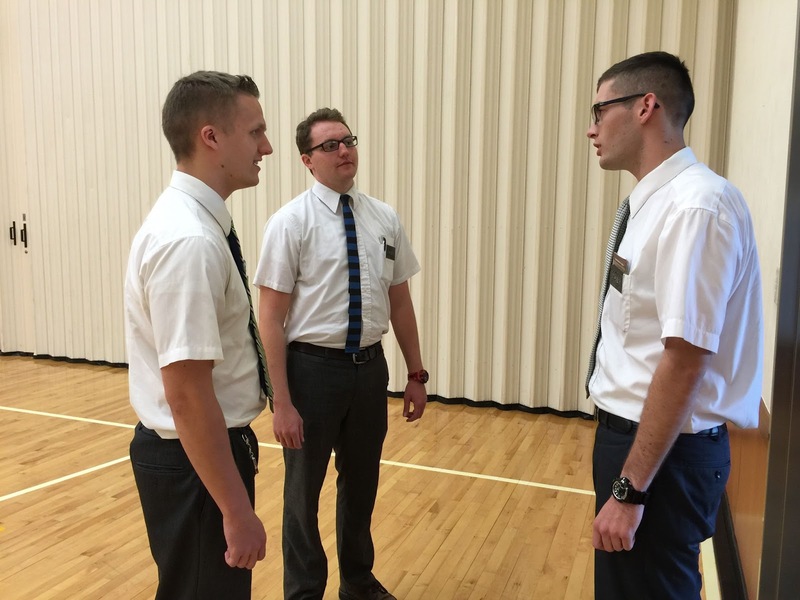 Foreign missionaries: We don't understand...sometimes we don’t understand them, sometimes they don’t understand us! 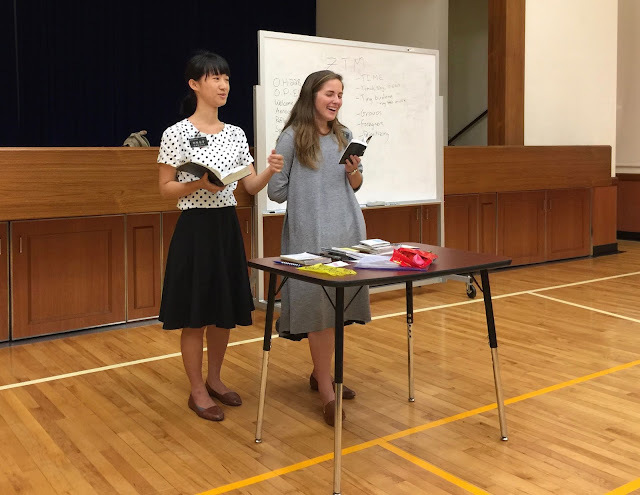 Taiwanese missionaries: We understand too much! 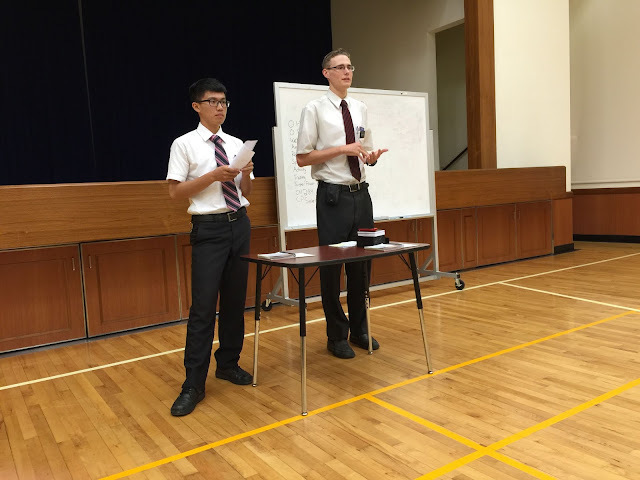 We see foreigners and we only want to contact Taiwanese people! 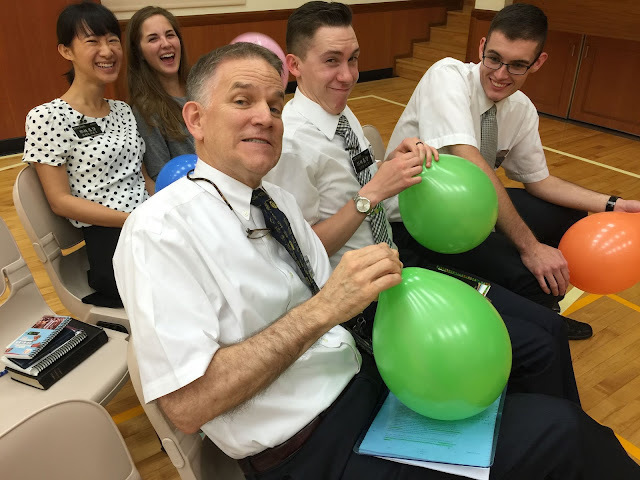 MP: I tie knots for a living, I'm supposed to be good at this! 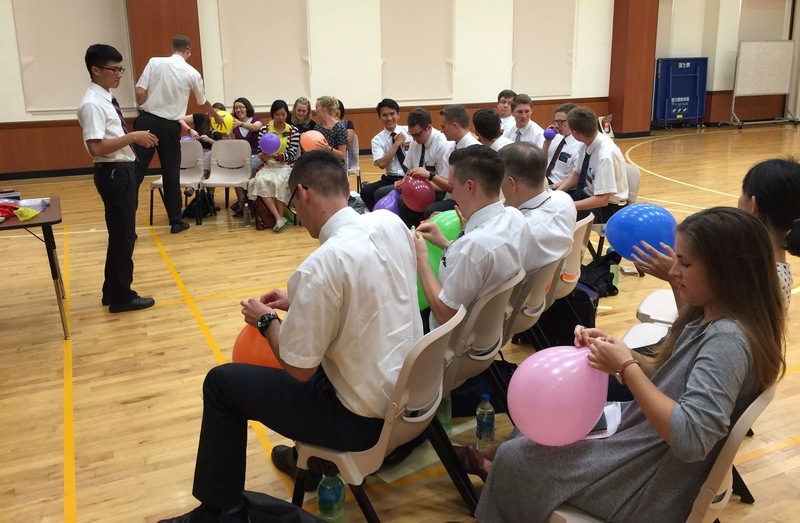 Now write your fears and apprehensions about contacting on the balloon, then pop them away! 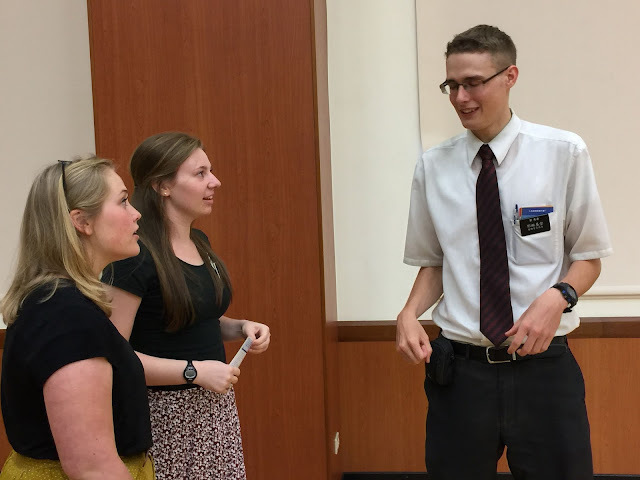 Who did he talk to along the way? 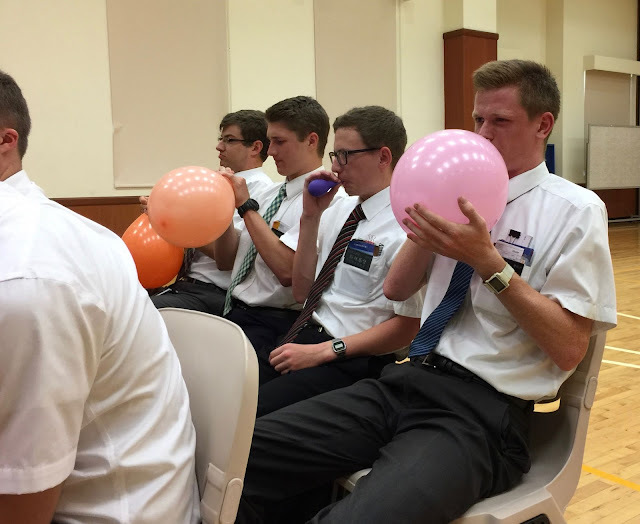 No one, he was too rushed to talk to a single person! Sister Training Leader Instruction: How do you show your love for the Lord? The Lord gives us commandments so that as we keep them, it may turn to us for our salvation. 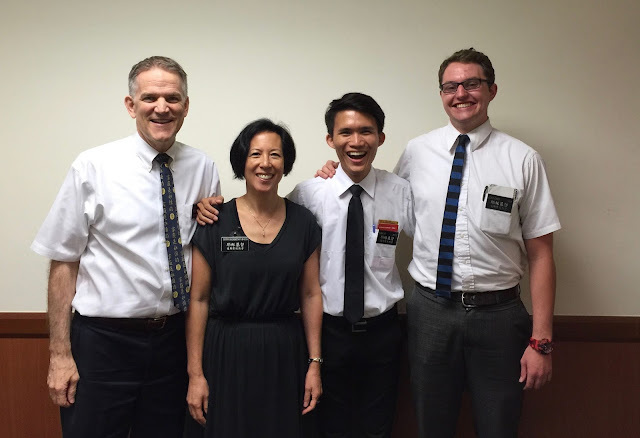 We love our short term missionaries!